An autistic boy's unexpected death last year, after slipping away from his father's attention, has turned the spotlight on China's vulnerable groups, triggering public outcry for improvement of the country's social welfare system. Lei Wenfeng, a 15-year-old with autism, was found dead mere skin and bones last December,after staying at a squalid care center in a southern county three months after he wandered away from his father. During that time, the father, Lei Hongjian, could never imagined that his son would complete an odyssey to eventual death, meeting so many people with whom he had no capacity to deal with, and trudge many miles through strange places. Wenfeng was born into a rural family in Hunan Province, but later lived in a small dormitory room with his father, working in an electronics factory in the bustling city of Shenzhen, Guangdong Province. His mother was at home in Hunan, caring for two young daughters. The quiet boy could only remember his parents' name and express himself in very simple words. Most of the time, he would sit in his father's office, watching TV all day and never daring to leave home nor speak to strangers. "Let's do that again, papa," said the autistic boy in one of the most complicated sentences he could utter. According to CCTV footage in Lei's dormitory building, the boy slipped out of the room at 4 a.m. on August 8. The worried father immediately organized relatives and workmates to try to find the wandering boy, reported him missing to the police, and posted notices seeking help on the internet, radio, and newspapers. Despite some vague clues, all search efforts were to no avail. Seven days after disappearing, while the father was desperately searching for him, Wenfeng was actually picked up by the police after the boy fainted near a bus station in Dongguan, 83 kilometers from Shenzhen. He was sent to a local hospital and stayed there for a week. Although he gave his and his mother's name, the police failed to locate the boy's household registration information. Wenfeng was later transferred to an assistance center in Dongguan. During his one and a half months there, the boy was very quiet and did not have any conflict with other inmates, according to staff. According to a regulation jointly issued by the Ministry of Civil Affairs and the Ministry of Public Security, assistance centers must publish notices via radio, TV, newspapers and the internet for unidentified inmates within 24 hours of their admission, in order to help find their relatives. The assistance center only posted a 30-second notice on the local TV station for three consecutive days, and the program was not available where the boy's father works. "I was not in a mood for watching TV, and was desperately searching for information on the internet," admitted the father. Both the father and the son underwent DNA testing in their respective locations, in order to facilitate the search process, but no match was obtained. 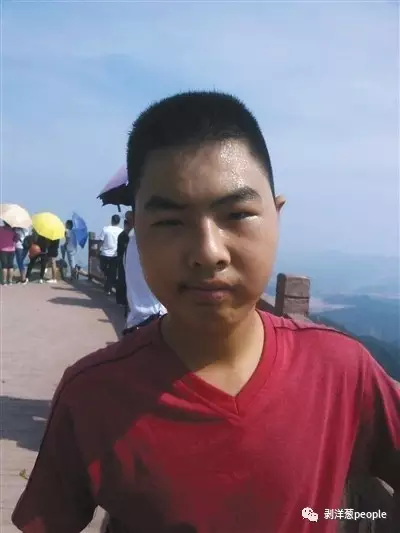 Another failing on the part of the related relief agency is that Wenfeng was "identified" as being born in 1991, nine years older than his real age, based on a rough estimate by a staff member. Being aged over 18 year meant he would no longer be able to enjoy the "privileges" available to under-aged homeless people in welfare organizations. He was later transferred to another care center in Shaoguan, 178 kilometers from Dongguan. After staying there for over a month, Wenfeng was again sent to the local hospital and could barely eat anything. He was suffering from serious diarrhea and was reduced to skin and bones, recalled Li Zhenchuan, Wenfeng's physician, saying that it took a nurse almost a quarter of an hour to give him an injection. Wenfeng was attended by a nursing assistant employed by the care center during his stay in the hospital, but was not well cared for. Once, he removed the needle from his arm, and his blood was all over the blanket, the physician said. He died on Dec. 3, 2016, the ninth day of his hospitalization and almost a week before his 16th birthday. However, the cause of his death is still unclear. One death report said he had a tumor in his digestive tract, while another said he died of salmonella, something common in orphanages in the time of Charles Dickens, but an unlikely cause of death in the 21st Century. The disease was largely because of consuming unclean food and water, said his physician. According to records from a funeral home, at least 20 other people held at the same center for the homeless had died in a stretch of 49 days. "That is literally outrageous," commented an internet user on China's Twitter-like Weibo. "It is not a care center but a murder center." Four senior management personnel are now being held accountable and further investigation for the case is under way, according to Shaoguan information office. The care center was shut down on March 2. An autistic boy's lonely trail to death has exposed a chain of failings in China's care and support system.